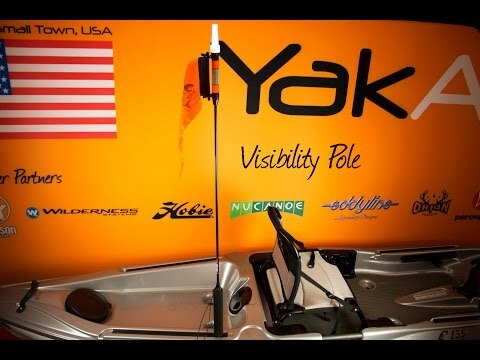 The YakAttack VisiPole II with Mighty Mount is a light on a 3/8" Fiberglass mast with a floating base. Manufactured from domestically manufactured 3/8" fiberglass tube. Permanently attached to the light and the base. With a height of 4'-6" tall, you will truly be visible from 360 degrees. In situations where a 360 degree white light is not necessary or required, the flag can be slid over the light, creating a soft glow that is less likely to attract bugs or spook fish, while maintaining some level of visibility to others around you. This technique is not recommended for environments in which powered craft may be present.